Welcome to the Dutch Communities NZ website! There is a long history of migration from the Netherlands to Aotearoa/New Zealand. Dutch people live all over the country and although we’ve all found our own place in New Zealand society, there are still Dutch things we love to do. This website gives an exhaustive overview of Dutch organisations and initiatives in Aotearoa/New Zealand. Explore the map below to find Dutch clubs, Dutch cafes and food stores, Dutch language initiatives, Dutch organisations and businesses, the works of Dutch artists, stories from Dutch people, Dutch social media and much more. Zoom in and out and click/tap on the tags. Use the filters to browse different categories. 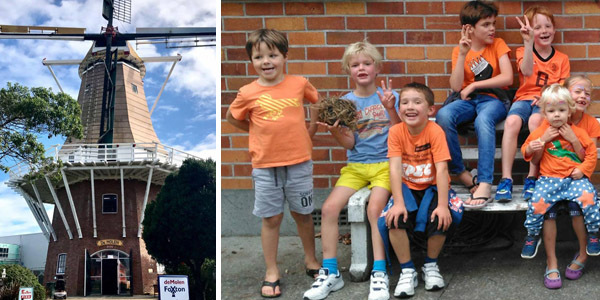 Stay connected with Dutch Communities NZ through Facebook, read about the latest news and events and join other Dutchies in Aotearoa/New Zealand. Te Awahou Nieuwe Stroom has opened! If there is anything you think we should include, do get in touch, we’d love to hear from you! Fill out our contact form here. Dutch Communities NZ is the official website of the Federation of New Zealand Netherlands Societies, the umbrella trust for Dutch clubs and community organisations in Aotearoa/New Zealand. ©2019 Federation of New Zealand Netherlands Societies Inc.